Fast Striker 1.5 for DC will be released at the 21th December. You can pre-order at NGDEVDIRECT.com. 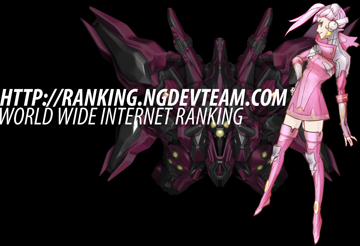 Our World Wide Internet Ranking portal is now online! Fast Striker 1.5 Arcade Update is now available. It includes an additional extra hard game mode called OMAKE. The update can be installed via USB cable into the MVS cartridge. 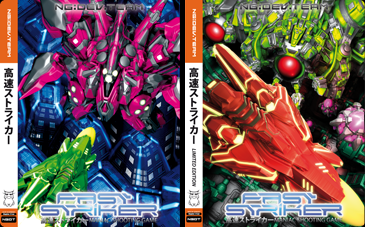 Fast Striker is now released in the Japanese Arcades. 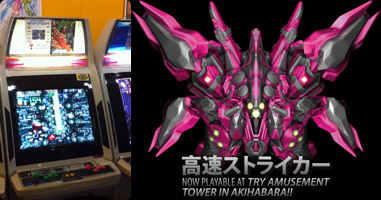 The game is located at the Try Amusement Tower in Akihabara! 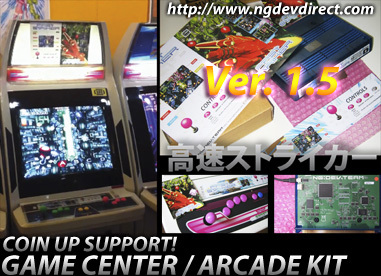 Game Center Kit for of Fast Striker now available at our direct sales store. The Kit is for commercial arcade/coin-op/game center usage only. FAST STRIKER is now ready to pre-order for Dreamcast at ngdevdirect.com! Get a 2nd Trailer at YouTube! Also pre-order able at Play-Asia and NCSX. FAST STRIKER is now released! To run the game with UNI-BIOS please have a look at the FAQ. You can now preorder FAST STRIKER for NEOGEO MVS! We are happy to announce that the Offical Website for our coming soon vertical shooter FAST STRIKER for NEOGEO MVS is now open. Get the Trailer here. We'll announce the date of pre-order at our Twitter. 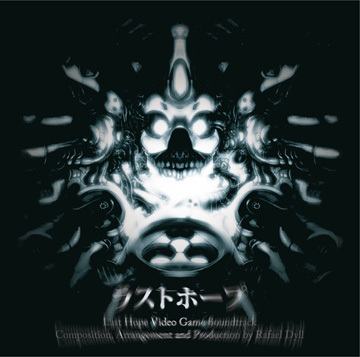 We are happy to announce that we will release in winter 2009 the Last Hope Video Game Soundtrack. For know you can find more information on our blog. We will soon announce more details. 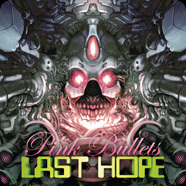 Last Hope: Pink Bullets for Dreamcast is now shipping. You can buy it at our NG:DEV.DIRECT store. Get the new trailer here.